Presidential spokesman, Garba Shehu, wants the opposition to stop raising ‘false alarms’ in order to gain public sympathy. The Presidency is at it again with the leadership of the People’s Democratic Party (PDP). This time, it is about the PDP’s alleged role in the mass data harvesting at the heart of the Facebook and Cambridge Analytica scandal. And it follows the revelation that the party hacked into Candidate Muhammadu Buhari’s personal data in the run up to the 2015 general elections. 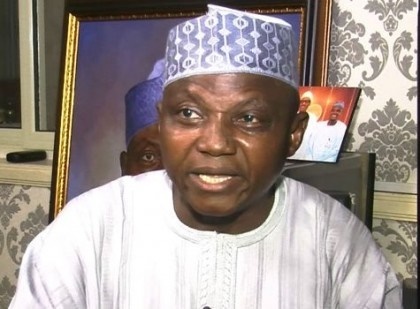 Presidential spokesman, Garba Shehu, wants the opposition to stop raising ‘false alarms’ in order to gain public sympathy and divert attention from its abysmal past record and failures. READ: PDP Threatens To Sue Kano Govt. He stated that the PDP’s decision to drag the All Progressives Congress (APC) and INEC to the United Nations over alleged plan or plot to rig the 2019 general elections were not only laughable and puerile, but they also demonstrated the level of desperation that was haunting the opposition leaders. Shehu enjoined the PDP to address the concerns raised about its role in the scandal, saying that “nothing undermines a country’s democracy as such unfair practices’’. According to him, Buhari is passionately committed to free and fair elections in the country.